Hey loves, I hope you're doing fantastic. 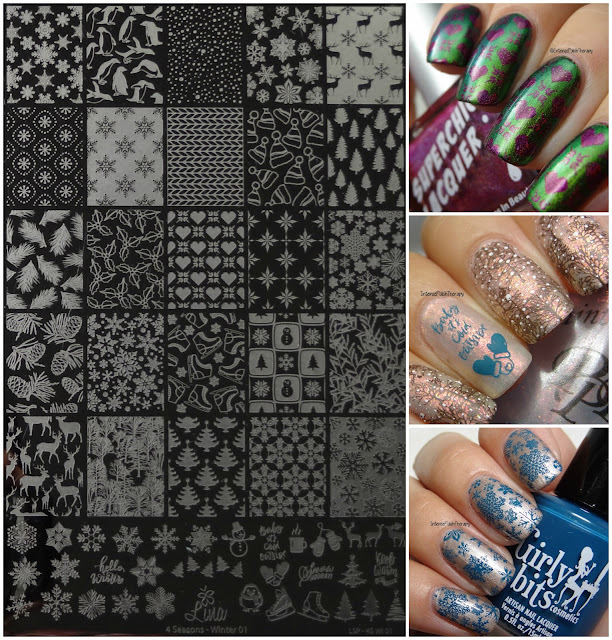 I wanted to continue showing you some of my favourite stamping plates as well as some nail art I've done with them. So let's get right into this. 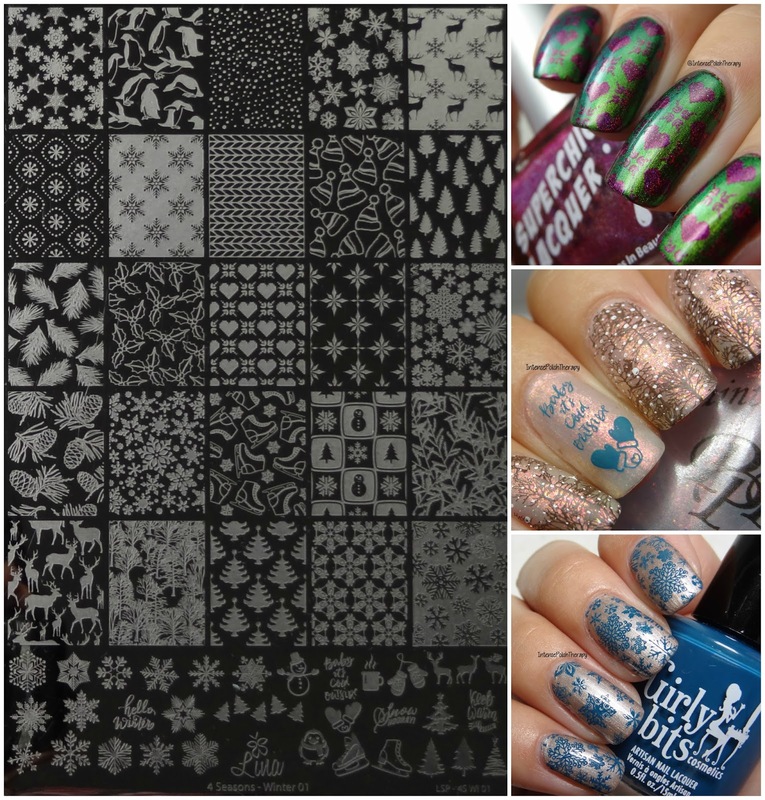 Here's the plate,this is Lina Nail Art Supplies Winter 01. This is one of my favourites because of all the snowflake designs available. I absolutely adore snowflakes & their uniqueness. This plate also has a lot of trees, some winter greenery, winter accessories & deer! The images used is the one right smack dab in the middle row, in the middle of the plate. The images used for this nail art is the full nail pattern on the bottom left, & for the ring finger, I used the two individual deer images on the bottom right. The image used was the full nail image on the bottom left. I absolutely love this plate, you're able to use it year after year, & you can use it as long as there's snow. So that's extremely convenient. 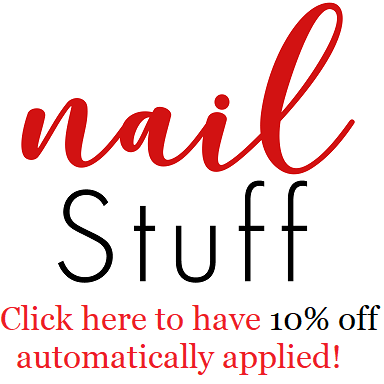 You can also create a ton of designs with this, you can use full image designs on all your nails or even use them on four of the nails & then use one of the complimenting individual nails on the accent nail. Which is something that Lina Nail Art does on a lot of their plates. Highly recommend em!